Don’t get fined or penalized for fishing without a license. State law requires a permit to fish in all bodies of water. FishingLicense.org will help simplify the process of obtaining your license by providing you with all the information you need to complete your license application with the department of wildlife. Our concierge services provide a step-by-step checklist to get licensed, along with additional, value-added services. To take native or nonnative freshwater fish in the state of Florida, you must have a freshwater fishing license. 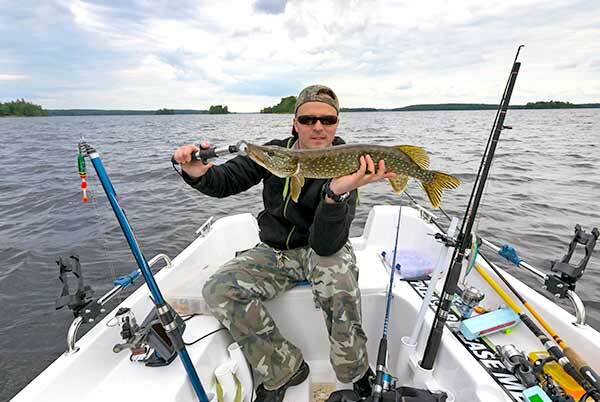 Fortunately, all of the information you need to know regarding how to get a fishing license, how to renew a license to fish and how to replace a lost fishing license can be found just below. If you are a member of the US military who is stationed in Florida, or simply a person who has declared FL as his or her home state by having a Florida driver license and a Florida address, then you can apply for a resident fishing permit. As for the different ways in which you can apply, residents have the option of buying freshwater licenses over the phone, online and in person at local tax collector’s offices. If you do not meet the qualifications for residency in the state of Florida, then you must apply for a non resident fishing permit. These fishing permits, which you can learn more about in the “How to Become a Licensed Fisherman eBook,” will be slightly more expensive than the resident fishing licenses. However, similar to resident fishing credentials, non-residents can buy freshwater fishing licenses online, by phone or in person at a local tax collector’s office. In the state of Florida, fishing license renewal is simply the process of purchasing a new short-term or annual fishing permit. Therefore, you will be able to do this process in the same ways that you can apply: in person, by phone or online. If your fishing permit is ever lost or stolen, it is your responsibility to apply for a fishing license replacement. You can do this online at no cost or in person at a local license vendor of the Florida Fish and Wildlife Conservation Commission for a small fee. In addition to short-term and annual permits, the Florida Fish and Wildlife Conservation Commission also offers lifetime licenses to fish. However, these credentials can only be purchased by residents, and residents must prove their Florida residency when applying. It is also important to note that these credentials, because they last longer, come with a higher price than annual permits in the state of Florida. The state of Florida does offer a specific license to fish for seniors who are residents. The Resident 64 Sportsman's License allows for freshwater fishing and hunting, and it also comes at a less expensive cost than the standard Florida fishing permits. Just like seniors are given special benefits in the state of Florida, so too are members of the United States military. If you are an active-duty or retired member of the military, you can apply for a less expensive Military Gold Sportsman's License, which allows you to hunt, to fish in freshwater and to fish in saltwater.